People who visit your e-commerce store don’t always make a purchase. Visitors may leave right away or after a few minutes of browsing through the products. Many of these visitors even leave after adding items to their shopping cart, which is known as shopping cart abandonment. In fact, it is estimated that about 77% of customers leave a website without buying the items in their shopping cart. About 20% of customers admitted one of the reasons they left their items behind was the lengthy checkout process. To prevent these customers from leaving, businesses should simplify the checkout process on their website. Customers should not be asked to enter tons of their personal information simply to buy an item. They also should not be forced to sign up for an account in order to complete the transaction. If you want to encourage shoppers to make a purchase, only ask them to provide the information you need to complete the transaction. Customers should be able to enter all of this information on one page so they don’t have to wait for multiple pages to load just so they can buy something from your website. Sweeten the deal by offering customers an incentive for purchasing something from your online store. The incentive doesn’t have to be huge in order to be effective. Free shipping or a 10-15% discount off the purchase is often enough to motivate customers to follow through with their transaction. Statista reports that 54% of customers abandoned their shopping carts because of expensive shipping. Nearly one-quarter of customers also admitted to leaving their items behind because they weren’t aware of shipping and handling costs. Based on these numbers, it’s clear that shipping rates could impact a customer’s decision to complete a transaction. It’s also obvious that customers want to know about additional charges for shipping and handling before they start the checkout process. Offering free shipping as suggested above could solve this problem. But, this may not be a viable option for your business. If that’s the case, it’s best to be upfront with customers about additional charges. Display the rates for shipping and handling before the customer is asked to provide their personal information so they can use this information to decide whether or not to move forward. The old saying “out of sight, out of mind” definitely applies to online shoppers and their shopping carts. Customers who are still browsing through your online store should always be able to see that there are still items in their shopping cart. However, this shouldn’t interfere with their ability to continue browsing. Place a small shopping cart icon with a number that represents the number of items inside the cart in one corner of the screen. As the customer continues to shop, this icon should remain there to serve as a reminder that there are items still in the cart. Keeping this icon visible at all times also makes it easier for the customer to navigate to their shopping cart when they are ready to review their items and complete the transaction. Online shoppers often visit multiple websites to find the best deal on an item before making a purchase. If they leave your website, there’s a chance they could come back after realizing that your company offers the lowest price. But, if the items are no longer in their shopping cart when they return to your website, this could frustrate them and cause them to give up on the transaction. This problem can easily be prevented by allowing customers to save their shopping carts. Make sure your online store is set up to keep a customer’s items in their shopping cart even if the customer is no longer on the website. The customer should be able to return to your website at a later date, click on “checkout” and quickly complete the transaction without having to add the items to the cart again. 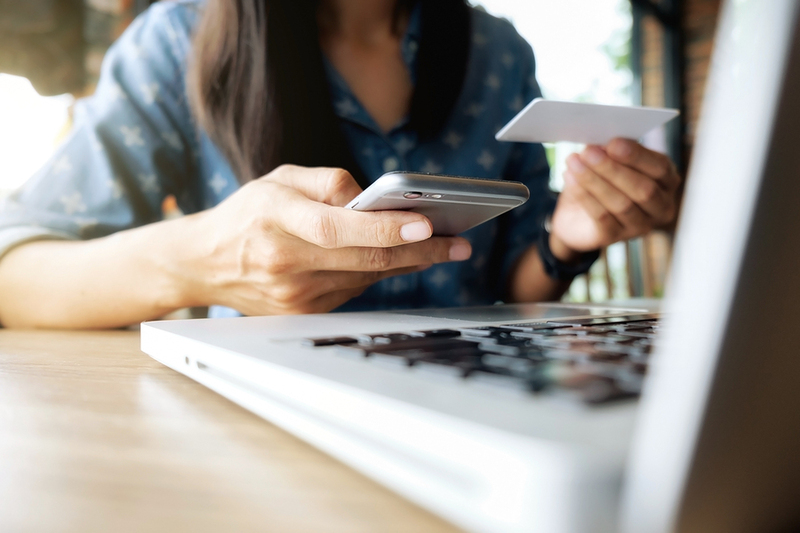 Some customers may get cold feet and change their mind about a purchase simply because they are worried about the security of their personal information. This is especially true when customers are shopping on smaller, lesser-known websites. To ease these customers’ concerns, it’s important for businesses to reassure their customers that their data is secure. One way to do this is to place well-known security logos on the page where customers are asked to enter their information. For example, a “Norton Secured” or “Verified by Visa” logo could convince customers that it is safe to trust your business with their credit card information. Of course, businesses should only use these logos to establish trust with their customers when they have earned these certifications. Remind customers who are no longer on your website what they left behind with remarketing ads. These ads can be displayed on websites that are part of the Google Display Network. Customers who leave items in their shopping cart on your website will be exposed to these ads as they surf the web and visit the websites within Google’s network. Launching a remarketing campaign is an effective and cost-efficient way to drive these customers back to your website to complete their purchase. Encouraging customers to follow through with their transaction is one of many ways that businesses can generate online sales. For more help with your digital marketing strategy, contact us to schedule a free consultation.